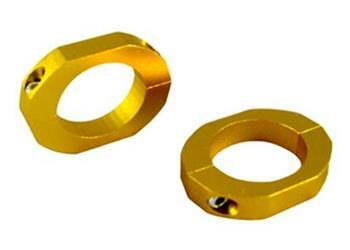 Whiteline Sway Bar Lateral Lock UNIVERSAL - Lightning Motorsports - Selling Speed since 1996 ! OE and aftermarket swaybar effectiveness can be hindered by worn or inadequate mounts and links. Whiteline’s new DIY Sway Bar Lateral Locks are designed to suit both OE & after market sway bars. The locks are easily installed on the car and mount directly next to the sway bar mounting point and prevent shifting or sideways movement of the sway bar under lateral (cornering loads). This results in improved sway bar effectiveness whilst preventing fouling of the sway bar on near by chassis and steering components.